Tonight’s semi final is Jac & Shaz cooking off against Eva & Debra. The winner tonight will be in the grand final against Wil & Steve. Who will be the My Kitchen Rules 2015 winner? See the judge’s comments and the scores for each dish below. Jac and Shaz made a Sautéed Chicken Livers with Caramalised Onion and Port Recipe. This was the first dish to be judged. Guy was “happy to be a judge today”. It was a great combination that “takes him home”. It was a beautifu ldish. Karen like the touch of apple and prosciutto. 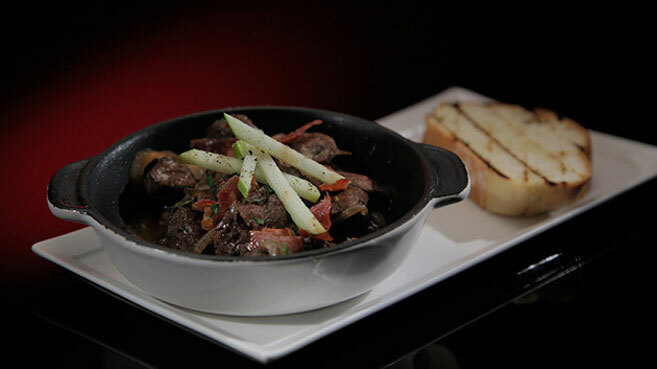 The chicken livers melted in your mouth. It was a great dish. 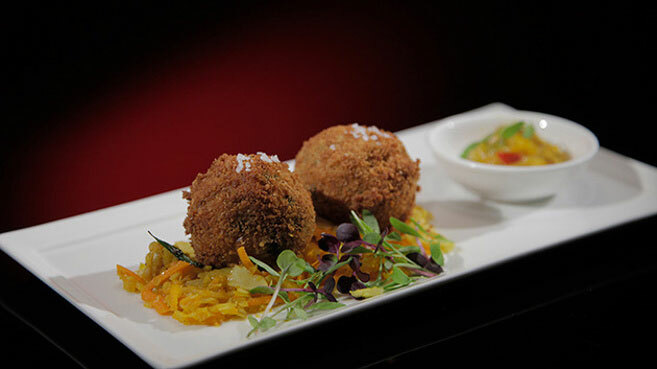 Eva and Debra made a Crumbed Fish Cakes Mango Chutney Recipe. Colin said when the dish came to the table he had written it off, he didn’t think it was a semi-final dish, but when he tasted it he loved it. Manu said it was moist and moorish. Liz liked the curry leaf and the salad underneath. Pete said there is nothing they could have done to improve this. 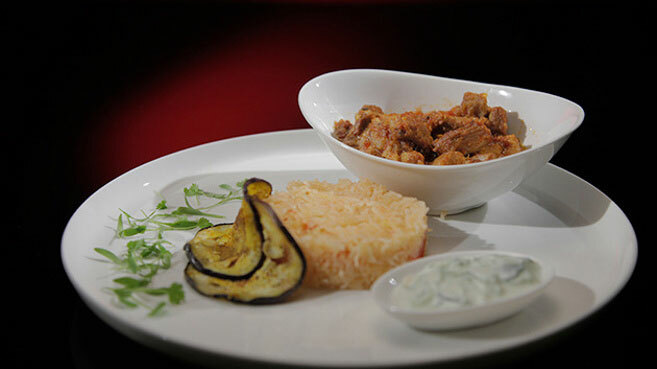 For main course, Eva and Debra made a Pork Vindaloo with Spiced Eggplant recipe. They wanted to get the pork cooking while entree was being served, but missed the deadline. They decided to use the pressure cooker to try and cook it quicker, they had never done this before and it was a huge risk. Unfortunately it didn’t reduce as much as they had wanted. Karen said the pork was cooked perfectly but it was a “bit off edge”. Liz said it didn’t seem like a vindaloo, it was a bit flat. Manu said it was bland. Pete said the first course was immaculate, but that probably left them without enough time for main course. 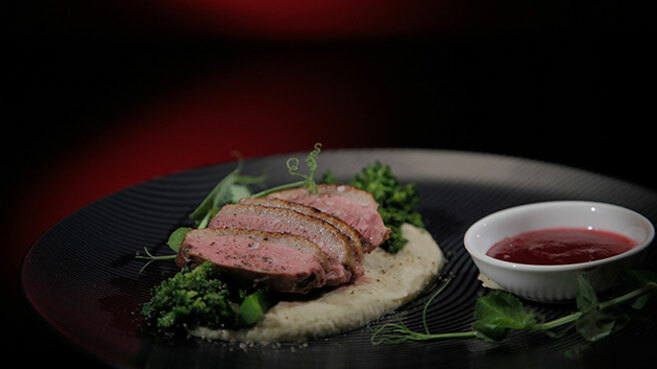 Jac and Shaz made a Tea smoked Duck with Fennel Purée and Cranberries recipe. The duck was perfectly cooked, delicious and the smokey flavour was good. Karen said the broccoli didn’t need to be on the plate. The cranberries didn’t need to be there. Manu said it was like a jam coming out of a jar. The dish wasn’t quite there. 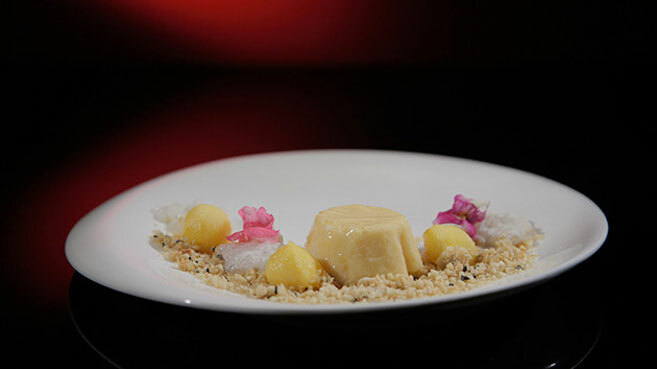 For dessert, Eva and Debra made a Mango Pudding with Coconut Sago Recipe. The girls made a mousse, but when they took it out of the fridge, it was lumpy and they decided not to put it on the plate. Karen enjoyed the savoury of the sago with the mango, but it needed more sweetness. Colin said the Sago didn’t “wow” him. Guy thought it worked together pretty well. Manu said he enjoyed it very much. 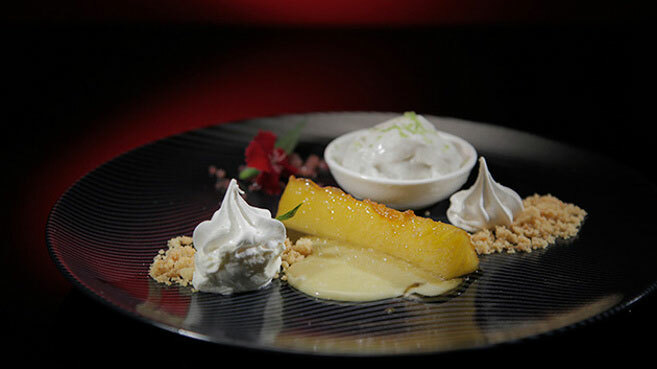 Jac & Shaz made a Lime and Coconut Sorbet with Pineapple and Meringue Recipe. They made a curd, but when they took it out of the fridge it was hard and not like a curd at all. It was a great meringue and the sorbet had good flavour. Karen loved the caramalised pineapple, it was perfectly balanced. The fault on the plate was the lemon curd, it was too sticky and just not right. It is going to be a tough decision. Jac & Shaz won My Kitchen Rules tonight and will face Wil & Steve in the My Kitchen Rules Grand final.